Georgia PAWS provides wildlife removal in Marietta GA and surrounding areas. We provide full exclusion and clean up for any wildlife damage. Our team members are highly qualified in wildlife removal and wildlife prevention. Our staff is trained extensively and holds all of the necessary permits. Our clients and their homes come first. We have earned a reputation of being the best at wildlife removal. 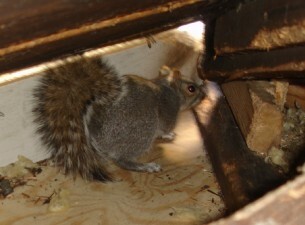 We handle wildlife of all sizes, including squirrels, raccoons, bats and rodents. Listed below are the services we provide. Georgia P.A.W.S. is the highest rated pest control and wildlife removal service in Marietta and its surrounding communities. 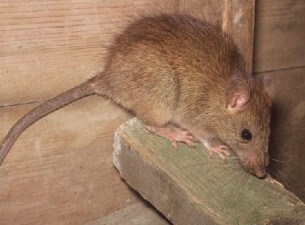 If you have an issue with rats scrambling in the walls or literal bats in your church’s belfry, we can help remove the critters and ensure they never return. 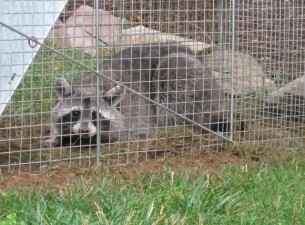 Our company has the most effective humane trapping services in Marietta. We believe the animals deserve to be relocated instead of euthanized, and we practice safe rural transport for every caught animal. In addition to eradicating the animals, we will restore your property to its original shine. We repair chewed electrical wires, perform full attic restorations, repair drywall and insulation, and more. After operating for more than two decades, we became a staple of Marietta wildlife removal. 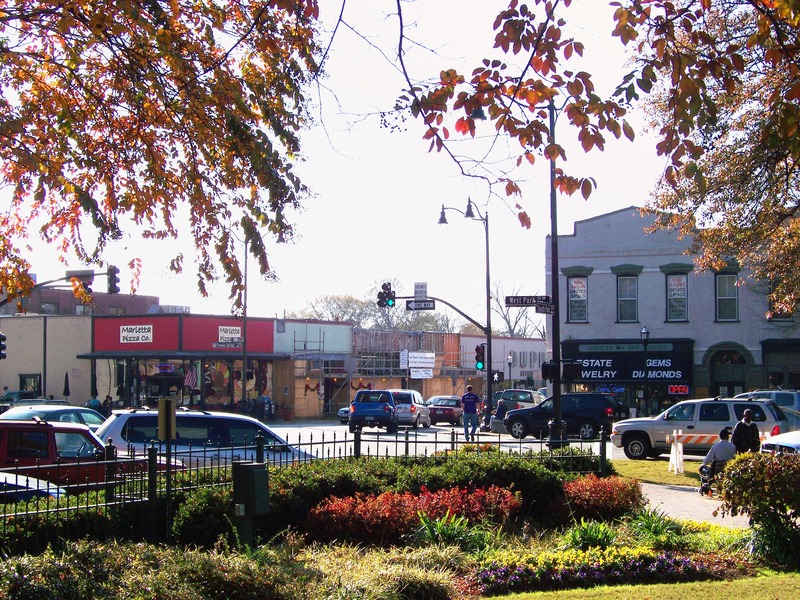 Marietta is a culturally significant city with no less than six major historical districts. Among other popular activities, the weekly farmer’s market is set in the downtown square, one of many important landmarks. Other quirks like The Big Chicken and the Wind Museum are a testament to the diverse city culture. Because many of the buildings and open-air structures are relics of American history, they have also aged and are susceptible to pest invasions. Restaurants in old buildings gain a natural boost in charm, but they can be heavily compromised by health code violations and food contamination. 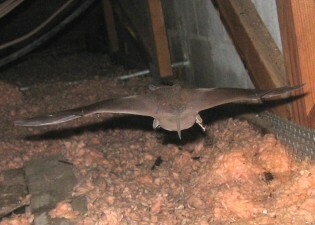 Bats come and go through familiar cracks in people’s homes, usually through the roof into the attic where they commonly roost. Gable vents, roof holes, and other home gaps are possible entry points. We use bat curtains, which allow bats to get out but not back in. Like all rodents, flying squirrels have teeth that never quit growing. They need to continually chew to keep them short. Flying squirrels will chew through wires, leave waste, spread disease, and knock over home decorations. We have traps and special bait to lure these guys in, and then our technicians re-introduce them into the wild. 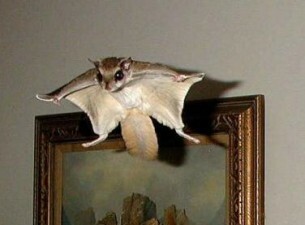 Flying and non-flying squirrels are perhaps the most destructive animals to have in the home. They are responsible for many house fires in the Marietta region as a result of shorted wires sparking in the walls. These little intruders root through garbage, spread messes, and invade attics with impunity. We honed our techniques for getting rid of raccoons over the years, and our trapping methods are extremely effective. We will reseal all gaps in the home. Georgia P.A.W.S. will also relocate your raccoons far enough that they cannot find their way back to your house. When you get in touch with us, you get guaranteed, top-notch service. Our team will visit your property and learn everything we can about your unique situation. Our capturing methods will work around any home or business needs you have. Once a job is complete, Georgia P.A.W.S. will seal your Marietta home to prevent another infestation. If there is damage, we return it to prime condition. Finally, our team will clean your home of any droppings, residue, and nests to eliminate the chances of contracting disease. All of our operations come with a lifetime guarantee just in case another animal finds its way in! A quiet little town in Cobb County, Mableton may seem “out there,” but our business extends to all corners of the village. Known for the Mable House estate, the town rose up around a railway and plantation near U.S. 78. Georgia P.A.W.S. also provides service to this charming little community. If you have a problem with wildlife, give us a call today and we can make a custom plan to eradicate the troublesome animals. Our specialists are standing by, ready to respond any time of day or night. We have established relationships all along the Silver Comet Trail to the state highway, and we would love to add you to our family! Smyrna is a growing city recently rated the fourth best city for young adults in Georgia. New families moving in to the rolling valleys of Smyrna, especially those from downtown Atlanta or out of town, may be unfamiliar with the local pests that fill the rural woods. This beautiful town, known for its community gardens and organic grocery chain, Sprouts Farmer’s Market, is within the jurisdiction of Georgia P.A.W.S. If you have a pest control problem and need expert help removing the animals, give us a call today. You can rest easy knowing that once Georgia P.A.W.S. gets involved, the pests will not come back. 32,000 people live and over one hundred small businesses operate in the city of Kennesaw. Pests within the city are common, especially in the historic public areas. Georgia P.A.W.S. will help your home or business overcome invading rodents, bats, snakes, and more. We will make all repairs once we clean up your property, from any damaged electrical wiring to the shingles on the roof. Afterwards, our team will ensure your Kennesaw property is outfitted with every preventative measure necessary to keep the building animal-proof. If you have any pests that entered your home, give Georgia P.A.W.S. a call today. We are available 24/7. Here in The Lake City, we know how to embrace serene rural living. Lots of animals flock to the banks of Lake Allatoona and Lake Acworth and their abundant natural resources. As a result, many Acworth residents have or know someone who dealt with a major pest invasion. Georgia P.A.W.S. clears any type of vermin or pest from your premises, and we ensure they are unable to re-enter your home. After clearing the animals, we will clean and repair the property to bring it back to its original condition. Everything comes with a lifetime guarantee. If you currently deal with an infestation, call Georgia P.A.W.S. today. Georgia P.A.W.S. operates in Woodstock. We have clients in Towne Lake, the Historic Downtown districts, all along the Ridgewalk line, and in the outer communities. If you deal with destructive pests multiplying in your home, give Georgia P.A.W.S. a call today. With the summer festivals and farmers’ markets bringing a horde of customers, businesses will want to ensure they make no violations during the busy season. We do not only remove wildlife; we commit to the humane treatment of animals and reintroduce all pests back into the wild. We can dispatch technicians at any time to review the situation. Georgia P.A.W.S. provides every client with a custom-made clean and repair plan to completely restore the property. As a part of our Marietta wildlife control services, Georgia P.A.W.S will provide a free inspection of your house to determine where the bats are entering and where they are roosting. Next, we will seal your home at all possible entry points such as exhaust vents, gable vents, roof vents and the construction gap around the house (The construction gap is a gap left by the builder between the roof decking and facia board.) After the house is sealed, a bat valve or bat curtain will be hung at the point of entry. This will allow any bats in the house to get out; but none will be able to get back in. 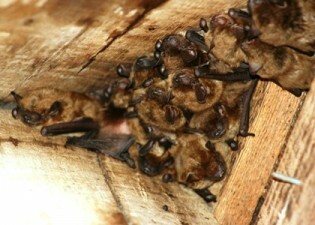 If you are an Marietta GA resident and are in need of bat removal services please contact us. 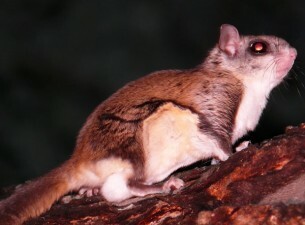 Did you know that the flying squirrel’s teeth, just like the teeth of a regular squirrel, never stop growing? Because of this, they must gnaw on things in order to keep them filed down! Flying squirrels become a nuisance when they get into our homes and other buildings and begin causing structural damage, chewing electrical wiring, and leaving their droppings to contaminate our insulation. If you are an Marietta GA resident in need of flying squirrel trapping services please give us a call. If you suspect raccoons have broken in your home or you are hearing noises in the attic or walls in the morning or evening, you should call the professionals at Georgia P.A.W.S. We the experts in eliminating nuisance wildlife problems. With our effective and highly tested techniques, our professionals can diagnose your problem, trap and remove the raccoons, and provide the necessary repairs to cover holes and construction gaps that may be allowing them entry into your home. 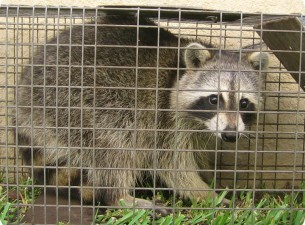 If you are a resident of Marietta GA and are in need of raccoon trapping services please give us a call. 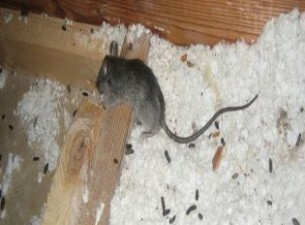 Rodents in your home or place of business can do more harm than you realize. A rodent in your home can spread diseases to your house pets and ruin your insulation. And in your place of business, you can be legally liable – at a high cost – for damaged stock, contaminated foods, health code violations, or other consequences. If you are a Marietta GA resident and are in need of rat trapping services please give us a call. 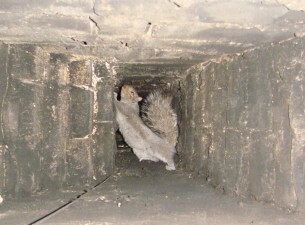 Squirrels can be one of the most destructive animals that get inside homes. They often gnaw on wood, cables and electrical wiring. The gnawing of wiring is perhaps the scariest damage they do. The stripping of the insulation from the wires increases the chances for a short and the risk of fire. In fact, squirrels are responsible for thousands of house fires each year. If you are a resident of Marietta GA and are in need of squirrel trapping services please contact us. Why Choose Georgia PAWS in Marietta GA? Marietta, GA is located northwest of Atlanta. It is home to a historic town square and several historic districts. The Marietta Trolley offers guided tours of the city. For the history buff, Marietta Museum of History is the place to visit. There are also The Root House Museum and the Marietta Gone With The Wind Museum. Even surrounded by history and beauty, wildlife in your home is still a big problem. If wildlife becomes an issue for you, Georgia PAWS has your solution. For immediate service, call us to speak to a service representative now. Georgia Pest and Wildlife Specialist is your Marietta wildlife control specialist. In Marietta Call: 706-207-7278. Georgia P.A.W.S’ mission is to humanely control wildlife in order to prevent the spread of diseases and to help in safely removing wild animals from residences and businesses. Because the population is rapidly increasing in Georgia, wild animals are being run out of their natural habitats. They are forced to take up residence in areas greatly populated by humans and in many cases, in the same structure. This is creating an increased need for nuisance wildlife removal. At Georgia PAWS, we are committed to providing humane wildlife removal. We live trap and relocate animals to lesser populated areas, more suited for their survival. When you have unwanted wildlife or rodents, call the Marietta wildlife control specialist – Georgia PAWS!